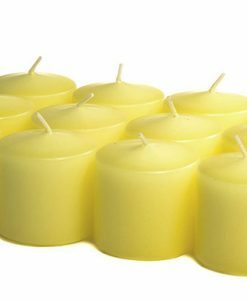 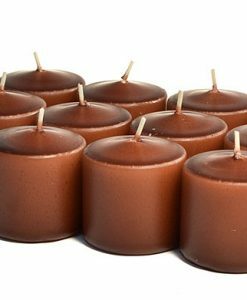 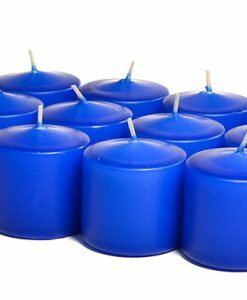 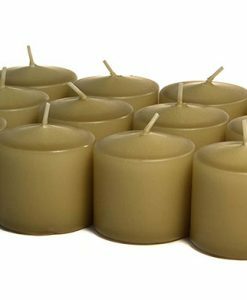 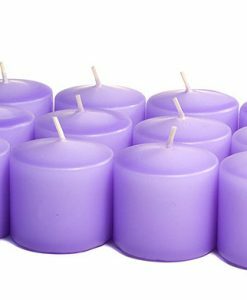 These paraffin wax autumn harvest scented votive candles are hand made at our family owned and operated factory in the U.S.A. Our line of scented votives has got the largest selection of fragrances to choose from and an extensive number of available colors. 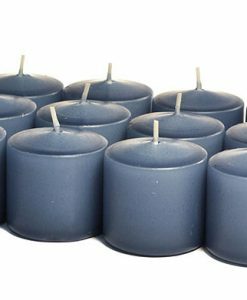 Candles like this are often used to surround larger arrangements or centerpieces to accent them and add another dimension to the display. 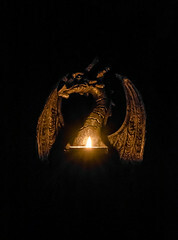 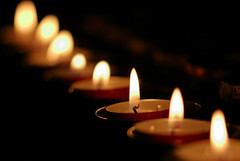 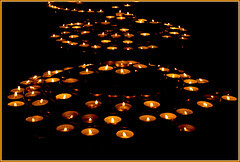 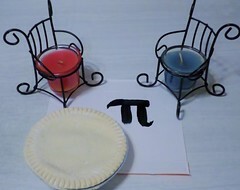 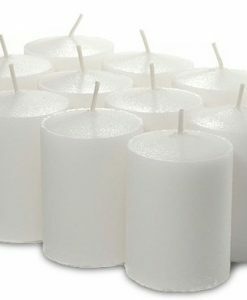 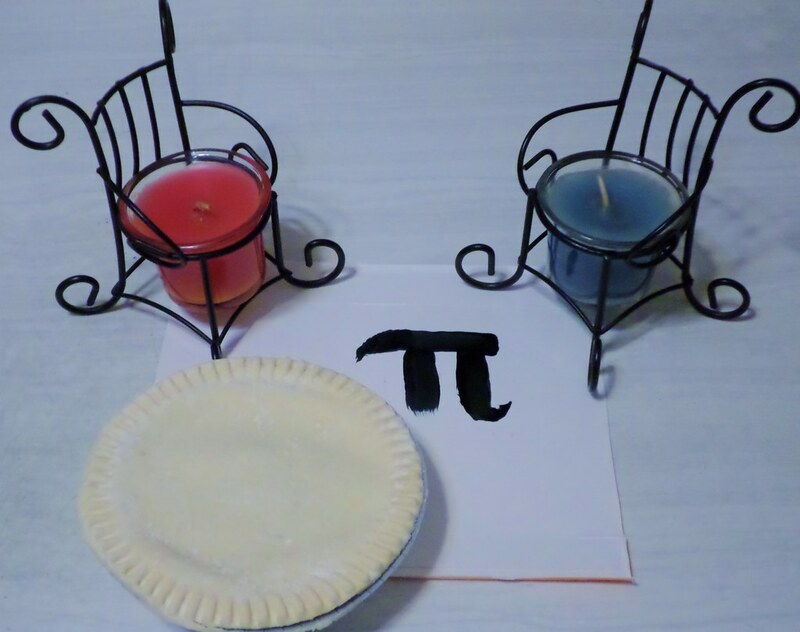 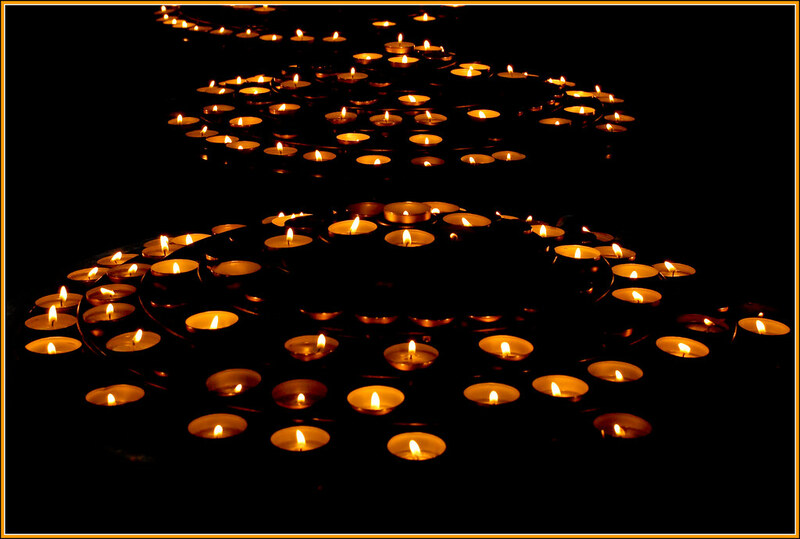 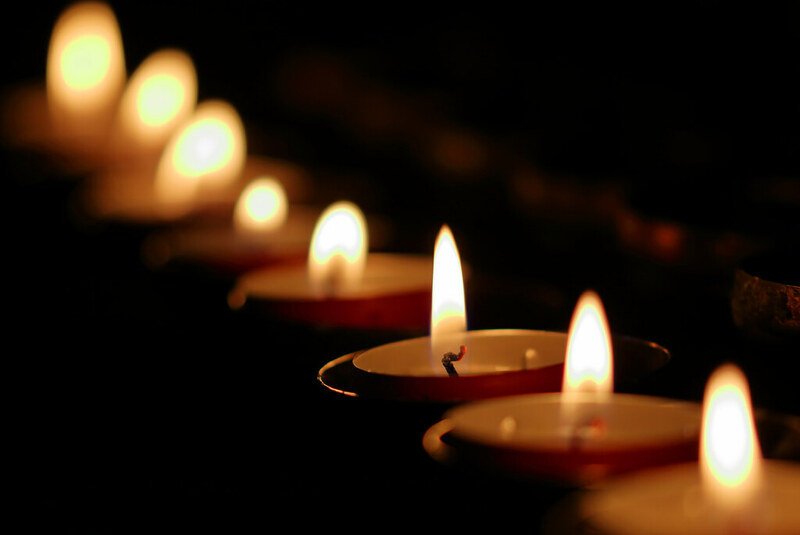 You can decorate your home, church, hotel, or restaurant with our fifteen hour candles. 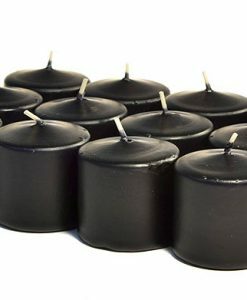 These votives are designed to liquefy totally across the top so they should always be burned in a votive cup. 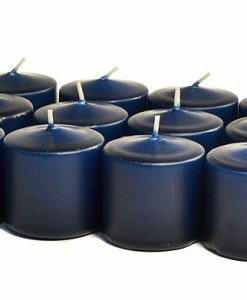 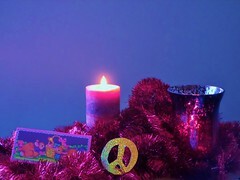 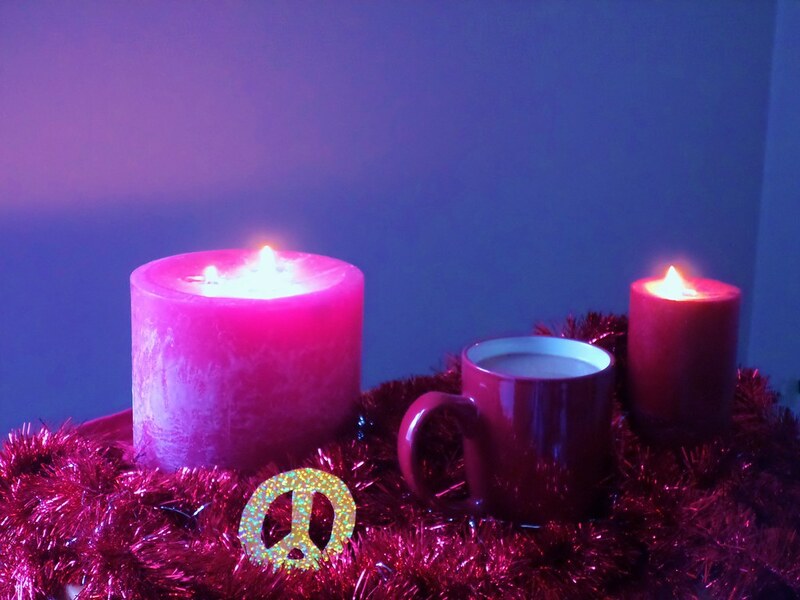 Using a cup that is slightly larger than the size of the votive candle will ensure that you get the longest possible burn time. 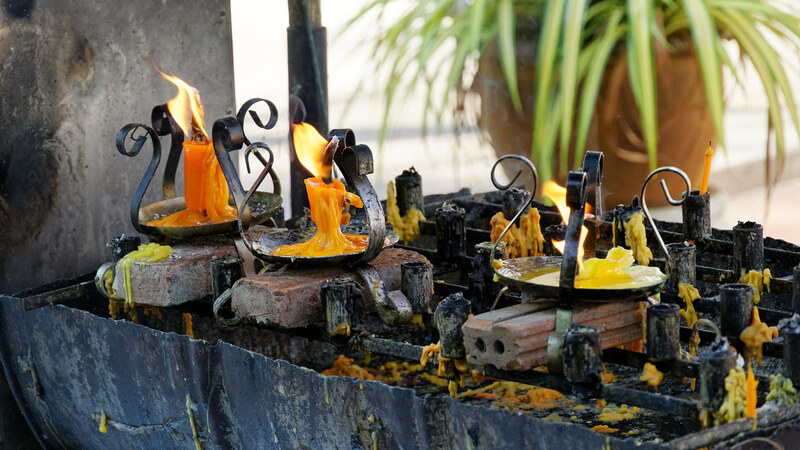 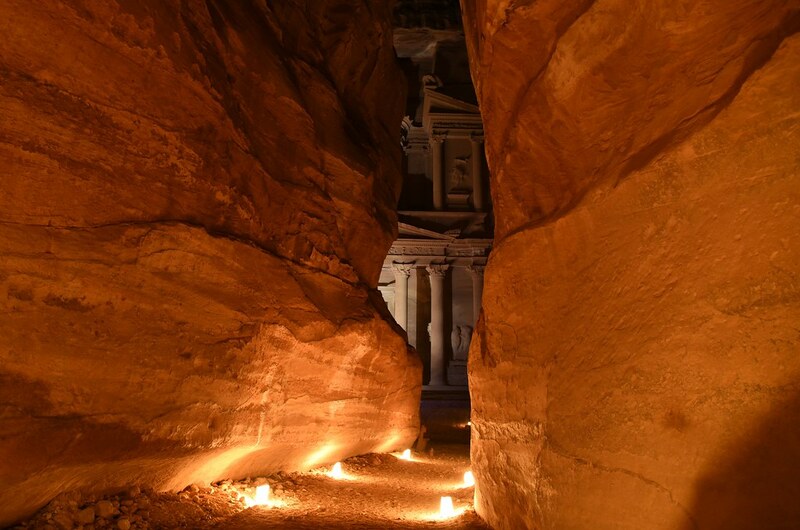 If the cup is too large, liquid wax can run too far away from the flame to be used as fuel and is wasted. 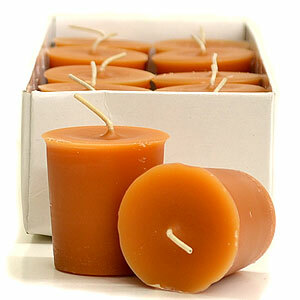 Our votive candles are sold in a box of 12 of the same fragrance.